A friend of mine, who happens to be an atheist, posted a link to this video by atheist Steven Pinker on Facebook recently. I would encourage you to watch it to give context to my comments that follow. It’s typical of the bankrupt arguments atheists make in defense of their worldview. Reason is necessary in order to make sense of the universe. However, if the universe is nothing more that matter and energy, why does reason exist? Reason should not exist in a materialistic, atheistic worldview. If everything that exists is nothing more than matter and energy that exploded into existence on its own, and formed itself into the world we have today entirely by accident, then reason should not exist. Reason presupposes the existence something more than just matter and energy – it actually presupposes God. Pinker states, “At heart, morality is treating other people the way one would want to be treated oneself.” Sounds a whole lot like something Jesus once said. If there is no God, then why should we treat others as we would want to be treated? What is the basis for such a belief? Isn’t evolution all about the survival of the fittest? The strongest survive, the weak die. If God does not exist, and evolution is true, then is would be immoral to help the weak, because this stunts the natural course of evolution by allowing the genes of the weak to continue in the gene pool. Yet, even the atheist knows that the Golden Rule is the basis for morality. Atheists must steal morality from the Christian worldview in order to make their own worldview work. He also states, “Faith means believing something with no good reason to do it.” This is a classic strawman argument. Faith is not believing for no good reason, but rather, a reasonable step beyond what we can easily observe. Faith does not ignore reason, but extends it. 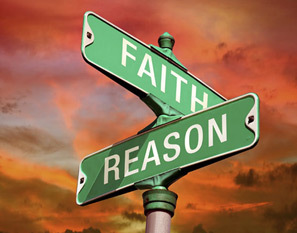 Anyone who actually believes that faith means belief without reason clearly does not understand faith. Pinker states, “I think that using the word ‘god,’ or the attitude of faith toward that you don’t know is a cop-out, it’s a way of slapping a label onto something rather than trying to understand it.” Pinker presupposes that God cannot be known. He presupposes that one cannot know through faith. Again, this simply shows his bias. God can be known, and faith can lead to real knowledge and truth. Just because he does not understand God does not mean there are no gods. But, because his atheistic worldview denies the existence of God, Pinker uses the cop-out of calling faith in God a cop-out, rather than trying to seek out and understand God and faith. Pinker states, “There are some questions that may not have answers because they are bad questions, a question such as, ‘Why is there something rather than nothing?’ It may just be a stupid question.” A question is not a “stupid question” simply because one’s worldview cannot answer it. Perhaps it’s a bad worldview, not a bad question. The fact that a naturalistic, atheistic worldview cannot answer these sorts of “big questions” of existence is precisely why such a worldview is inadequate and flawed. 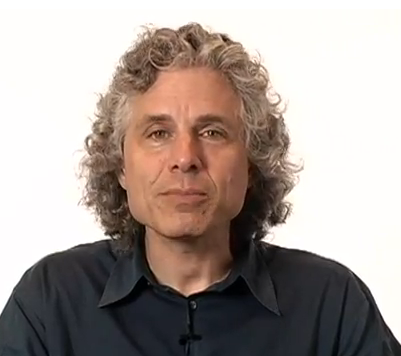 Pinker states that asking why we are here or what is our greater purpose is an example of a stupid question. Ironically, he then attempts to answer the question he just called stupid. He says he has an ethical imperative to be good to other people, to put his life to some purpose. Yet, he cannot answer the question of why this is true. A naturalistic, atheistic worldview cannot explain why we should be good to others, or why we should have any purpose in life. Again, atheists must steal the concepts of goodness and purpose from the Bible in order for their worldview to have any meaning. It is precisely because God is good and purposeful that goodness and purpose exist. Yet, an atheist cannot understand this and remain an atheist. It’s actually rather funny that Pinker refers to “taking advantage of the gifts that I find myself with.” Gifts imply a Giver. Pinker’s personal philosophy of reason depends on arbitrary beliefs in morality and ethics, which is irrational, cannot be explained through reason. He has to resort to calling things he cannot explain “stupid questions,” because his deficient worldview of reason alone cannot logically or rationally explain them. A materialistic, atheistic worldview is self-refuting. It’s a shame he and others like him cannot understand the unreasonableness of relying solely on reason. What then is the rational, reasonable alternative to materialistic atheism? An atheistic worldview is complex, convoluted, and irrational, and cannot even answer the basic questions of existence. The Biblical worldview is so simple and reasonable that most children can understand. God exists; He created the universe. The nature of the universe reflects the nature of its creator. The universe is logical, rational, and reasonable because God Who created it is logical, rational, and reasonable. The world was originally created perfect, reflecting the perfect nature of God. God created mankind in His image, with the capacity to make moral choices. Mankind chose to rebel against God, and this rebellion is the cause of all the imperfections and evil in the world today. God could have simply snuffed everything out, but because He loves us, He sent His only Son, Jesus Christ, to pay the penalty for our rebellion against Him. Anyone who chooses to turn from their sin, and who places their faith and trust in Jesus Christ, will be reconciled with God. The Biblical worldview logically and rationally explains everything that the materialistic, atheistic worldview seeks weakly tries to explain, as well as those “big questions” that materialism and atheism cannot even begin to explain. As for myself, I choose the straight-forward, rational worldview that explains everything, rather than the self-refuting, irrational worldview that explains almost nothing. I choose Jesus. Ever played Jenga? 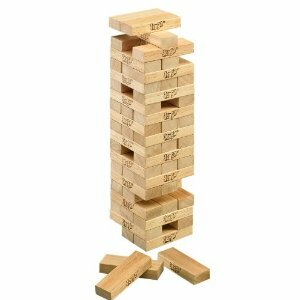 Jenga is a game where a tower is constructed of 54 wooden blocks. Players take turns removing blocks, one at a time, until the tower collapses. Creationists are not unwilling to listen to the evidence because they believe themselves to be correct. They are unwilling to listen because they must, at ANY cost, defend their ideologies because they are a Jenga tower of [expletive deleted]. Remove one peg and the whole thing comes down. Try getting anyone to deny something they’ve predicated their entire life on. It has to come from within. As it did for us. Why do young-earth creationists defend their beliefs? And, why do atheists defend evolution? It is ironic that this atheist would post such a comment, because creation is much more of a threat to an atheistic worldview than evolution could ever be to a Christian worldview. One’s worldview is the totality of a person’s beliefs. Like a Jenga tower, all worldviews have certain core beliefs that form the base. Without these foundational axioms, the entire worldview collapses. There are millions of Christians who believe God used some sort of evolutionary process to bring about the world as we now know it. Faith in Jesus Christ is not predicated on young earth creation. However, atheism is absolutely dependent on evolution, because any alternative that implies God or any other “higher power” completely contradicts the belief that no such God exists. An evolutionary worldview is the only possibility if one is going to maintain that nothing supernatural exists. 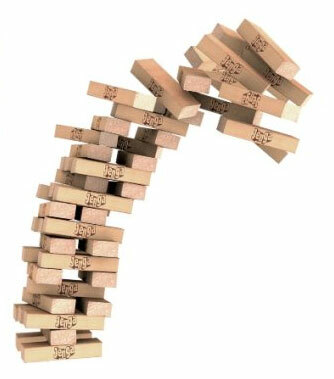 To use the Jenga analogy, if any form of creation or intelligent design were true, not only is a peg removed from the Jenga tower of atheism, the entire table the tower was built upon disappears. This is why atheists so vehemently defend evolution and attack any notion of creation. If faith in Jesus Christ is not predicated on a literal young-earth understanding of the Bible, then why do Biblical creationists so passionately defend a literal understanding of Genesis? While it is true that one can be a Christian while believing that God used some sort of evolutionary process, to do so is inconsistent, and it undermines the authority of the Bible. Genesis clearly teaches that God created the universe in six normal days, not billions of years. The Gospel message is based on the fact that every person is a sinner in need of a Savior, and that everyone is a sinner because we have inherited a sin nature from our original ancestor, Adam (see Romans 5). If evolution is true, then the Genesis account is false, and if Genesis is false, then there is no original sin, and no need for a Savior. 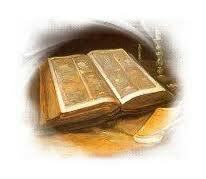 Christians base their belief in Jesus Christ on the fact that the Bible is correct when it talks about Jesus. Yet, if the Bible is wrong when it talks about origins, why would it be correct when it talks about Jesus? Don’t get me wrong; I’m not saying a person cannot be a saved, born-again Christian without a literal understanding of Genesis. What I am saying is that to do so, the Christian is being irrational. Numerous studies involving people who once called themselves Christians, but no longer do, have shown that belief in evolution is among the top reasons why people who are brought up in Christian homes and Bible-believing churches begin to question the Bible’s accuracy, eventually leading to complete rejection of Christian belief. Evolution and the Bible are incompatible. Atheists and other non-Christians understand this. Biblical young-earth creationists understand this. The only ones who can’t seem to understand this are those who try to cling to both the Bible and evolution. Is evolution a proven fact, as many claim? Far from it. The scientific method requires experimentation that is observable, testable, and repeatable. Evolution, in the sense of all life coming from a common ancestor, cannot be observed – it supposedly happened in the past. It cannot be tested or repeated for the same reason. The fact that we see changes in organisms today does not imply that all life came from a common origin. Common design elements in DNA does not necessarily mean common ancestry; it makes more sense that commonalities in DNA design are due to a common designer. Gaps in the fossil record, carbon-14 in fossils, and the tremendous amount of information in DNA all point to the truth of the Bible’s account and completely contradict evolution. This isn’t to say that evolutionists haven’t come up with all sorts of convoluted rescuing devices to maintain their belief in random, natural processes; however, the actual observable evidence is completely in harmony with the Biblical account, while extremely contradictory to the notion that life came to be as it is today all by itself. I could write volumes explaining this point further, but I won’t. A quick Google search will serve the purpose for any reader who really wants to seek out the truth of the matter. Ultimately, most atheistsand evolutionists really don’t care about the evidence, despite protestations to the contrary. They only care about maintaining their Jenga tower of unbelief. If there was incontrovertible proof that evolution is true, would my Christianity come crashing down? Absolutely not; my faith in Jesus Christ is not dependent on my current understanding of the origins of the universe, but rather is based on a relationship with Him. True, I would have a crisis of faith, and I would need to seriously rebuild my understanding of the Bible, but I would remain a follower of Jesus Christ. Part of my Jenga tower worldview would fall, but the foundation would remain intact. I have a relationship with God through Jesus Christ; the Holy Spirit dwells in me; it would be impossible for me to cease believing in the Savior Who has so radically changed me from the inside. It would be like denying oxygen. However, an atheist must maintain a belief in evolution, or their entire worldview must come crashing down. Atheism is impossible without evolution; it is critical to the foundation of an atheistic worldview. This is why atheists must attack creation while defending evolution. As a Christian, I defend the literal Truth of the Bible, not because I must for my Christianity to stand, but because I have a passion for seeing others come to know the Truth. Jesus said, “And you shall know the truth, and the truth shall make you free” John 8:32. He also said, “I am the way, the truth, and the life. No one comes to the Father except through Me” John 14:6. We defend creation and challenge evolution because we want others to know Jesus.